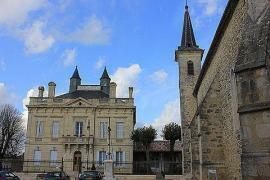 Saint-Michel-de-Montaigne is in the Perigord Pourpre region of south-west Dordogne, about 40 km west of Bergerac. 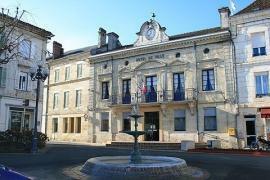 In countryside surrounded by vines, the small village of Saint-Michel-de-Montaigne is mostly notable as being the birthplace of the influential French philosopher Michel Eyquem de Montaigne, who was born in the chateau. The castle was destroyed by fire in the 19th century, and subsequently rebuilt, but the part of the castle where Montaigne was born - a sturdy round stone tower - is a small distance away and survived the fire, and is now open to the public. Whilst the castle is closed to the public a visit to the 'tour de Montaigne' does let you get a closer look at this magnificent chateau. 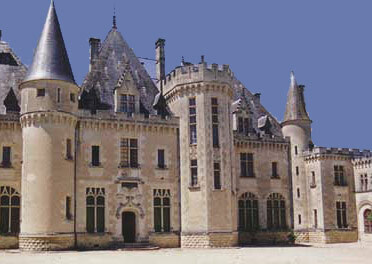 The castle dates to the 19th century as the earlier version was destroyed by fire. The 14th century tower of Montaigne however escaped the fire and happily this was the tower where Montaigne worked. He wanted to be away from the main castle to have more peace and quiet and he set up his library in the tower and sat here to write. The interior of the tower has been kept as it was when Montaigne used it and has a small chapel below on the bottom floor, a bedroom above and at the top Montaigne's library where he wrote his famous "Essais" at the age of 39. Outside of the tower is a small garden in the shape of a lion's paw and a large park filled with mature trees. 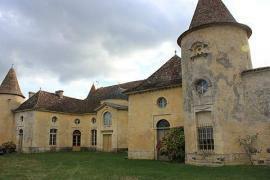 See Montaigne's younger brother's much more modest chateau at Montpeyroux. 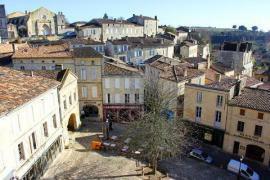 The nearby village of Lamothe-Montravel sits on the edge of the Dordogne river. 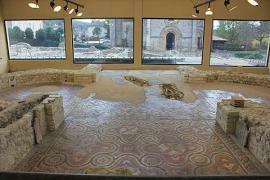 It has a tower remaining from a chateau owned by the archbishops of Bordeaux. 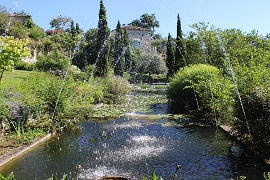 It is in the heart of the Montravel wine region and so there are lots of wine tasting opportunities.